President Ian Khama was with new girlfriend, Yarona Sharp, at the prestigious Kalahari Conservation Dinner in Gaborone, on Friday. Sharp, a public prosecutor with the Attorney General Chambers, has been a regular companion of Botswana's bachelor president, aged 64, at official events. Sharp's age could not be immediately established, while her past has also remained a mystery. Recently, the couple had tongues wagging when they were captured dancing together at the Bangwato's main kgotla in Serowe. In some circles, the belief that Khama was gay was continuing to hold credence, and this new twist could put paid to the homosexuality grapevine. News of the president dating his new sweetheart was met with jubilation by most of his followers. Here are some of the comments posted on various social media platforms over the latest development. "No jealousy she is so pretty, I have long wished to have a pretty First Lady, no offence." Another citizen wrote, "No make up, just natural .She is beautiful." "That's wonderful for the first time we see him with a woman. It really shows that he is our president and one day will be a family man like us," posted another commentator. Because of his criticism of Zimbabwean President Robert Mugabe's failed economic policies, Khama was a target of derision from the ageing Zanu PF strongman who repeatedly took potshots over his bachelorhood. Prior to entering politics, in 1998, Botswana's president, the fourth since independence, had already established a reputation as both an able leader and passionate conservationist. His life has been one of accomplishment and extraordinary circumstances. 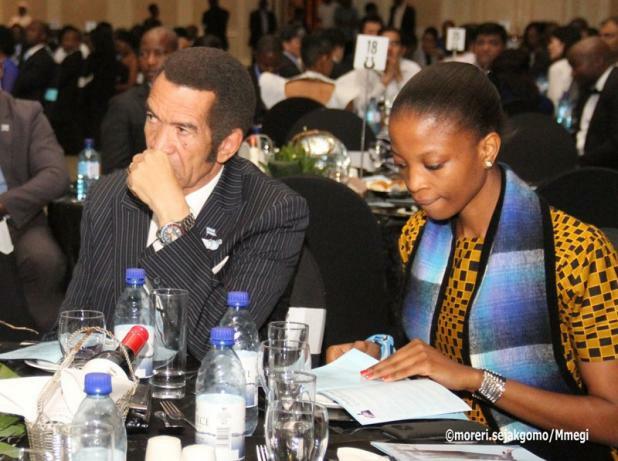 His Excellency the President, Lieutenant General Seretse Khama Ian Khama, is first born son of Botswana's founder President, the late Sir Seretse Khama, and his revered wife the late Lady Ruth Khama. He was born on the 27th of February 1953 in Surrey, England as the second of four siblings, with an elder sister Jacqueline, and two younger twin brothers, Tshekedi and Anthony.